Properties in Winninghoff Park average 4.8 out of 5 stars. You can’t get any closer to all there is to love about downtown Philipsburg! Property 1: You can’t get any closer to all there is to love about downtown Philipsburg! Philipsburg Getaway In The Heart Of It All! Property 14: Philipsburg Getaway In The Heart Of It All! Modern home on Georgetown Lake! Near Fairmont, Discovery Ski Hill, & much more! Property 25: Modern home on Georgetown Lake! Near Fairmont, Discovery Ski Hill, & much more! Property 26: Fishing? Hiking? Rafting? Stay here. Property 28: New Private Home Near Great Fishing, Hunting, Skiing! Secluded mountain lake and snow skiing getaway. Property 29: Secluded mountain lake and snow skiing getaway. Wonderful place to stay and enjoy all the summer & winter activities!! Property 33: Wonderful place to stay and enjoy all the summer & winter activities!! Property 37: Comfort and Style! 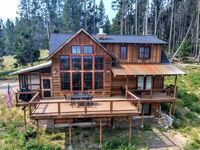 Great amenities in town of Philipsburg, Montana! Spacious home with beautiful views of Georgetown Lake! Property 39: Spacious home with beautiful views of Georgetown Lake! Are you ready for 2019? We are! Property 46: Are you ready for 2019? We are! Boat & fish from your own private dock! Breath taking views/sunsets on the deck! Property 47: Boat & fish from your own private dock! Breath taking views/sunsets on the deck! Mountain Getaway with optional Bunkhouse Apartment! 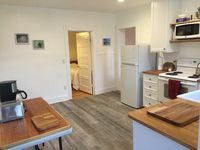 Property 49: Mountain Getaway with optional Bunkhouse Apartment! What an amazing house, with amazing views. David was great to work with. Love the area and location. The house was quaint and perfect for our use. The hosts were available and accommodating. We will be back!!! !